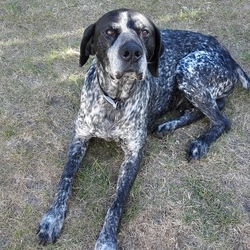 Black and White German pointer. Please call David 0872230345. Generous reward for finding our dog.